When I was a new mother with a screaming baby, I used to feel like the people I admired, that I’d go to for advice, had it all down with their kids, that they never struggled and that their kids never had sleeping issues. I don’t know if it’s common to think this, but if it is, I’m here to tell you, that is simply not true. Last week my 20 month old son finally switched from two naps to one. I’d been waiting for this change for months and months and it finally happened. Because of him now sleeping from 12-2, that means I can’t pick my daughter up from preschool until close to 3 pm. Prior to this, I’d been picking her up around 1:30 then brining them both home for a nap. So, with my son’s new napping schedule, and my daughter already being four, this meant she suddenly and abruptly dropped her nap as well! You have to understand, sleep training is really my life. I practice everything I preach to my clients in my own life. To have these changes happen so suddenly was interesting. I think I just couldn’t bring myself to accept that my daughter who had struggled soooooo much with naps for the first 3 years of her life, would now stop napping during the day. She has been sleeping so deeply and so well, and I fully planned on keeping her napping until kindergarten. I don’t know what I thought was going to happen with my son when he dropped to one nap. Anyway, so in one week my baby goes to one nap, which is a huge deal (!) and my older baby drops her nap all together! Everything seemed to be going smoothly…until my son started waking for 2 hours every night from midnight-2 am. He has a disorder called Rhythmic Sleep Disorder, that’s not really a disorder but more of a behavior, where he rocks violently while he’s in deep sleep. It extremely common, and while terrifying to hear/watch, it’s usually completely harmless. However, over this week when he dropped his nap, his RSD started getting very strong. He came very, very close to breaking one of the slats on his crib with his head. And then, he finally rocked so hard he’d wake up. I would eventually go to him, and he would sit in my arms for a while, then I’d put him back to bed, then he’d go right back to rolling around in his crib. Eventually I’d would just go go to bed while he was still awake. Of course I started researching and researching. I started putting him to bed a bit later, made sure not to make any sounds between 11 pm – 1 am, and I decided to wait it out. My daughter did something similar, but with her it was an indication that she was ready to drop her second nap. Eventually, the waking stopped. At least, I hope it’s stopped. I tell you this lengthy story because I want everyone out there to know that I struggle with my kids, too. When I have to hear them cry while struggling to learn a new skill, I feel at times I am literally unable to hear any other sound other than their crying. I know what it’s like, I know how you feel! But, I also have a knack for this. I find the solutions, I research, I have an incredibly wide base of knowledge and experience to draw from. I love my babies, and I start to love the babies and the mothers – and sometimes fathers – I work with, too. I believe in what I do and I believe the sleep a baby gets is an important as the food he’s consuming. 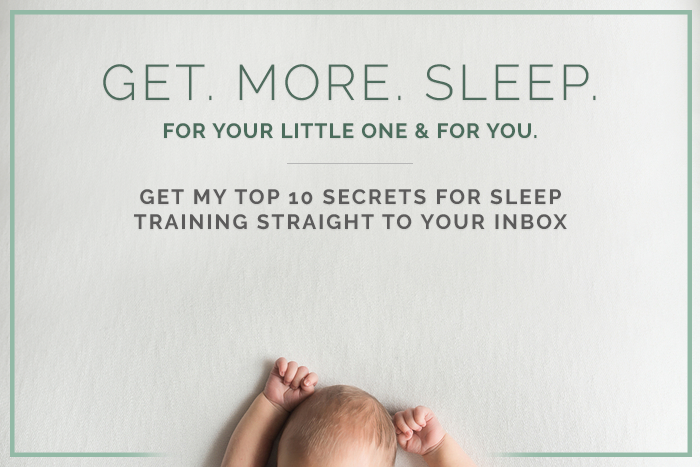 I know how it feels to have a child that won’t sleep, and I know how to get passed it, and I’m so grateful when you guys let me share that knowledge with you! It is always good to hear that most parents deal with sleep problems. Especially since I am currently dealing with a 7 week old who seems to be having a growth spurt or something. He has fed all day long and slept a total of 3 hours all day long. He also had trouble sleeping last night with several wakings. I am just getting over blocked ducts and if still hurts for him to feed. Infants, gotta love’em. Thanks for the post. I can’t speak about any other parents but myself, but I know I struggle. I also struggled with astonishing pain while nursing my second baby. Tracy Hogg, the Baby Whisperer, had this quote in one of her books, “Today’s big problem is next month’s distant memory.” I have never read anything so true in regards to babies and struggles. That quote is something I repeat to myself over and over again when I’m having a hard time because if there’s one thing I’ve learned about hard times with my kids, it’s that the hard times pass, and then I’m on to the next thing.